Speedball 2 meant an awful lot to a lot of gamers. Whether your memories stem from having Super Nashwan repeatedly kick lumps out of you; or from meticulously building up Brutal Deluxe from meek Division 2 minnows to a well-oiled cyborg machine, or having that all-important playground argument as to whose version of the game was best, there’s an ocean of memories associated with The Bitmap Brothers’ classic. After the success of PS minis venture Speedball 2 Evolution, Tower Studios have brought Speedball 2 back to the masses with a high-definition paint job. But is this the game we lost hours to in our youths? Yes and no. I’ll cut to the chase, Speedball 2 HD plays more like a big-screen version of Evolution than a HD upgrade of Brutal Deluxe, with this new PC version coming with a few pros and cons of its own. It offers an accessible, fast-paced slice of violent sporting fun, but those seeking a robust challenge are likely to be disappointed by its timid difficulty. Speedball is out of this world, literally. A mishmash of American Football, Handball and Pinball with some no-rules violence thrown in for good measure, Speedball 2 HD has the player using various pitch apparatus like bumpers, buffers and multipliers to add to their score, as well as the goals themselves. There are no rules, and no stoppages save for when a team scores or a player is incapacitated from one too many crunching collisions. What’s missing is the element of time; just a split-second, but it’s enough to diminish the experience. 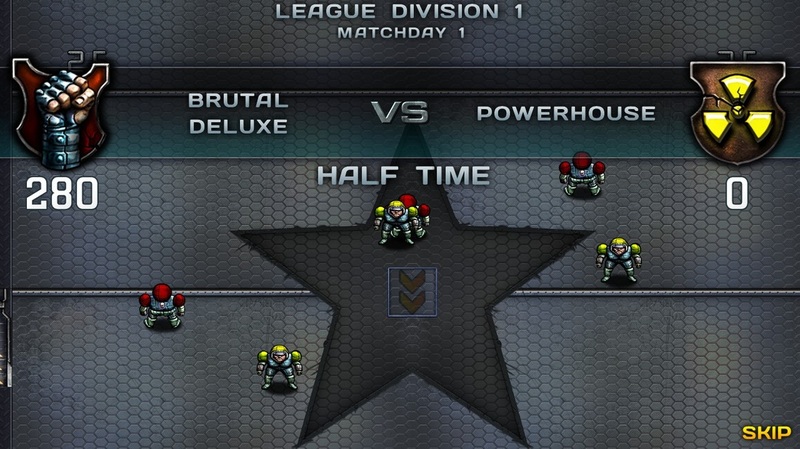 Brutal Deluxe allowed the player just enough time to think about moves and passes, to be able to carve out great plays, to pick holes in the opponents defence. HD, despite playing from a decent, zoomed-out perspective, conversely feels cramped, a sensation not helped by the ease and radius with which tackles can be landed – competitors don’t have to be all that close to one another to land one successfully. As a consequence, the centre of the pitch is most susceptible to possession regularly changing hands, and it often descends into a button-bashing frenzy, where tame throws often aren’t strong enough to reach their intended target or, as often as not, the player ends getting flattened before having the chance to release the ball in any direction. Like Evolution before it, the lack of challenge is a bit of a concern, though there are plans to rectify this in the near future. 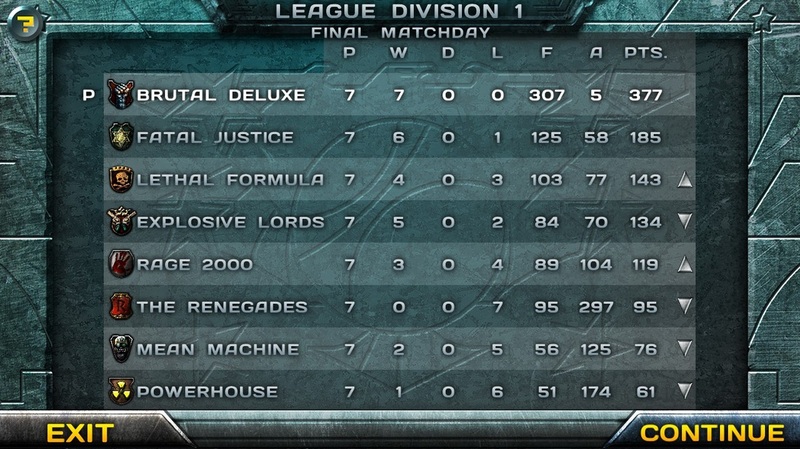 That’s not to say Speedball 2 HD would only feel complete if it was pad-smashingly hard – it does offer a few tasty fixtures early on in its Intergalactic Cup and Champions League setups, but curiously the ten year Career only has two league tiers. By the fifth season, you’ll have won everything there is to win, and thanks to the upgrades you’ll have amassed in challenging the five-star teams in the bigger cups, Division 1 comes to feel entirely superfluous, as you’ll routinely flatten the two and three star teams that populate it by 400-600 points a time. There’s also perhaps a little too much of a focus on brute strength; I’ve beaten teams who’ve outscored me 1-5 simply because I’d secured the multipliers (something the A.I. seems curiously resistant to pursuing, even when standing right next to them) and KO’d a few more of their players. 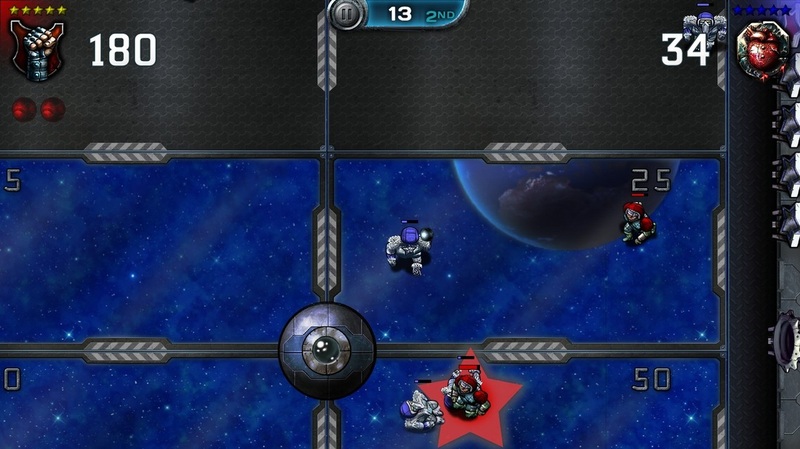 Despite this, it’s still plenty of fun, and aside the sparkly new paint job, there’s a whopping 28 teams to play as, some new power-ups and Steam achievements to discover, as well as the option to switch team formations, giving greater emphasis on defensive or attacking play. Joypad controls are responsive and using the charge balls (which knock down all those in their path) remains a great pleasure, as do the little things like scoring on the counterattack or barging the keeper out the way at the last second to allow a hopeful punt from the halfway line in to score. 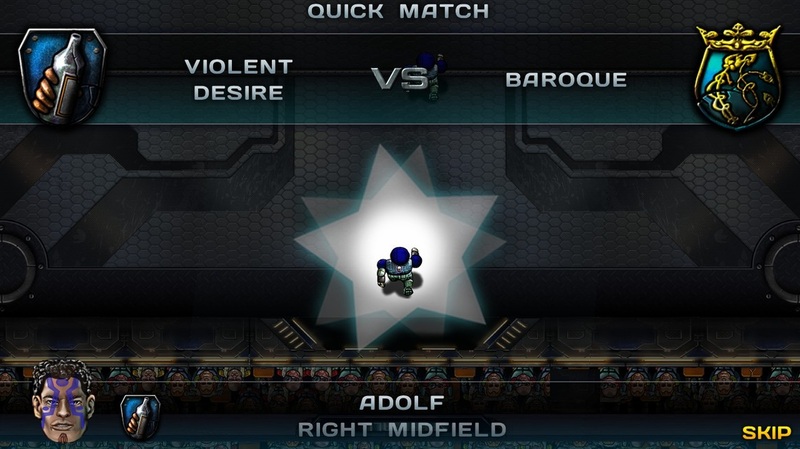 Speedball 2 HD champions a “communal” multiplayer ethic, placing emphasis on offline, traditional multiplayer options. There’s no doubt SB is at its best when you’re battling a mate, firing up the taunts as you fire in the goals, and HD offers good, straightforward options with a host of teams that offer varying degrees of quality, which is ideal for levelling out the playing field between newbies and veterans. I played it with a mate, though in truth, we decided to go on Brutal Deluxe instead after a while. Online multiplayer would have been welcome, if only to offer greater distinction (beyond the cosmetic) between HD and Evolution, important given that it’s twice the price. There’s no shortage of content with lots of tournaments and league setups to tuck into. The rapidity with which you’ll master the Career mode takes some of the shine off the experience and there’s no question that in its current guise, Speedball 2 HD is a lightweight, short-lived experience. Updates will add a little more meat, and for those new to the series, it offers a quick-fire introduction into the wonderful world of Speedball 2, if sadly not a definitive one.